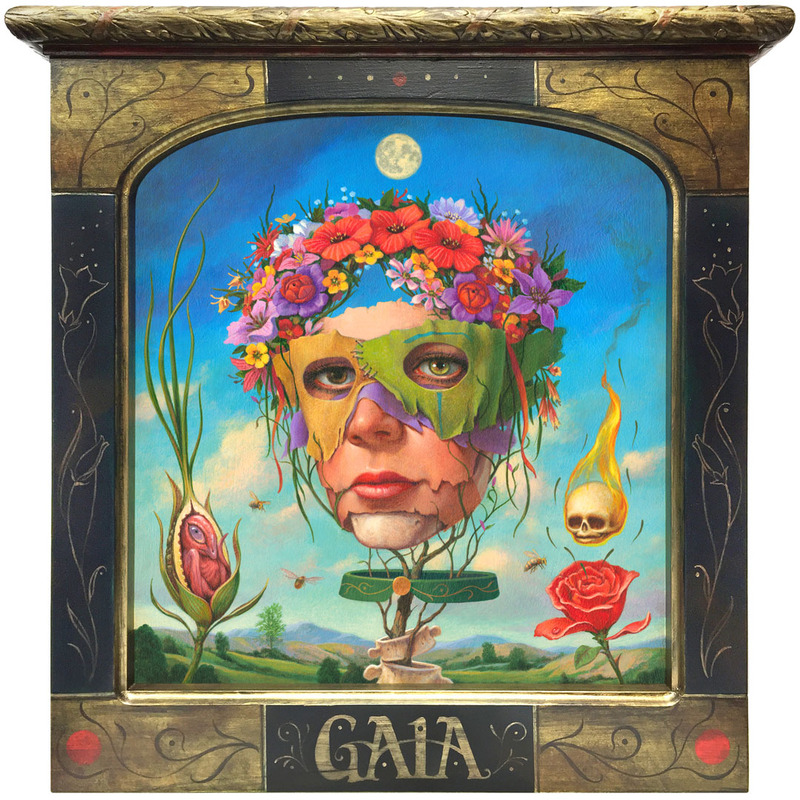 “Gaia” 12.5x11.5” (16x15.75” framed). Acrylic on panel, artist created wood frame. My contribution to “Flower Child” a group exhibition at Modern Eden Gallery, San Francisco. Part of the city’s 50th anniversary celebration of 1967’s Summer of Love. You can get an overview of the the show on Michael Cuffe’s website, Warholian here. To purchase please contact Modern Eden Gallery for information.